Primum Ens: Immortelle, 60ml | Transcendence Works! Primum Ens of Helichrysum italicum. 60ml of saturated solution of true alchemical quintessence of Immortelle obtained through our sacramental Ens process. The Primum Ens of Immortelle is an alchemical plant quintessence. In addition to tonic and catalyzing psychospiritual functions in general, it has an unique energizing effect on the aethyric body and acts as a direct stimulant of the entire frontal lobe. This essence is also known as Everlasting, and Helichrysum, meaning “Gold of the Sun”. Ingredients: Saturated solution of pure Ens extraction of Immortelle (Helichrysum italicum) in 100% pure grain alcohol. See “Dosage Protocols” on how to remove the alcohol before ingesting Ens if you do not wish to ingest alcohol. Timing: It is considered best to take first thing in the morning upon rising, but other methods are 3 hours after eating and 30 minutes before meals, or before bed (a few hours after eating). Shake Well: Shake well just before adding drops. The solution is saturated, which means it is concentrated and particulates of the physical Ens may settle to the bottom in between uses. Removing Alcohol: If you wish to use a method of taking Ens without ingesting as much (or any) alcohol from the tincture, you can add boiled distilled water to a tea cup and add your drops of Ens to the hot water, which will evaporate off the alcohol from the tincture. Then allow it to cool some before drinking. 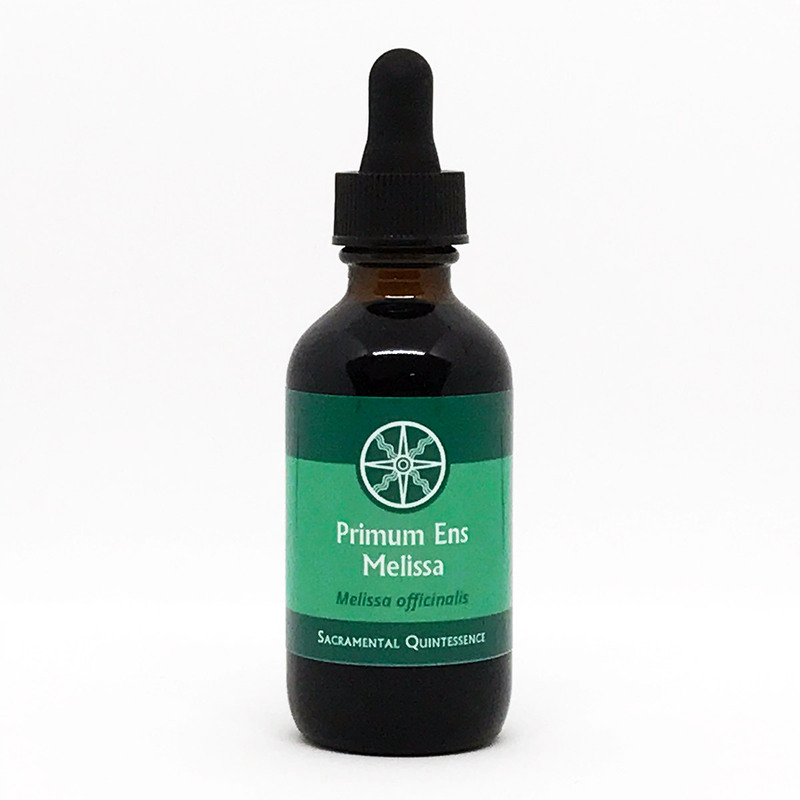 Taken in small doses over time it catalyzes psychospiritual functions in general, and it has a particularly tonic and energizing effect on the aethyric body. In this instance, start with 5 drops daily in 4 ounces of distilled water or white wine and increase by 1 drop every few days until you reach 10 drops per dose. Increasing over time to substantially increased dosages facilitates the more potent qualities of the Ens; i.e. general detoxification of the body, purging of dysfunctions from the psyche, and direct stimulation of the frontal lobe. In this instance, after going through the process above, continue increasing by 1 drop every few days until you reach 30 drops per dose. As part of the Plant Alchemy Project™ sponsored by Aethyrius as Overseer of Ordo Aethyrium, for those who wish to learn the practical alchemy work of obtaining plant quintessences for themselves through the Primum Ens process, a complete online step-by-step training course is offered here: Primum Ens Plant Alchemy Training. Though these quintessences are official sacraments of Ordo Aethyrium, and learning to obtain them is required training within the 5° Practicus grade of the Order, they also have a long-standing history in alchemical tradition. As a part of our educational outreach within the Western esotericism community, we offer this open system of learning the alchemical Ens process of obtaining true plant quintessences to any eligible person wishing to approach effective methods of the Western Mysteries from the esoteric viewpoint in a grounded, practical manner. We hold that those within the Western esotericism community at-large should have access to reliable plant quintessence training whether they are a member of Ordo Aethyrium or not. It is part of the Order’s Regulations to be a working Order; this is one form in which that mandate is fulfilled. Your purchase of Primum Ens Sacramental Quintessence from Ordo Aethyrium through Transcendence Works entitles you to an itemized tax deduction for a portion of your purchase as a donation to a nonprofit religious order. All revenues through Transcendence Works support the religious and educational work of Ordo Aethyrium, an initiatory theurgical religious order of the Western Mysteries. 70% of the revenues received from sale of Primum Ens are reinvested back into the process and resources to continue their production. 30% of the revenues received are considered a donation to the Order to support the nonprofit religious and educational activities for which it is chartered. Ordo Aethyrium is a nonprofit Ohio corporation chartered as a religious organization and is recognized under 26 U.S. Code § 508(c)(1)(A) as a tax-exempt nonprofit religious entity. Contributions recorded by Ordo Aethyrium in writing are recognized as tax-deductible contributions in the United States, and other jurisdictions where such parameters may apply. A signed “Receipt for Record of Contribution” with the order number, order date, order total, and deductible allowance will be sent with the order. Retain the receipt for tax records if electing to claim the donation.